Upper basket height can be set to several levels. 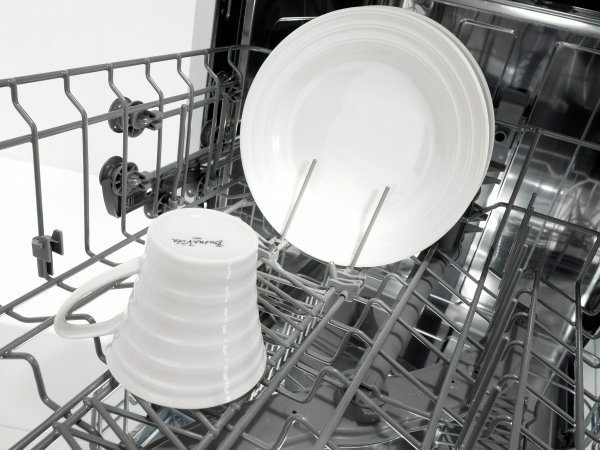 This is a simple solution for washing larger pots, pans, plates, or glasses. A convenient third basket allows washing up to 14 place settings worth of dishes at a time. It provides plenty of space for short and long utensils and coffee cups. 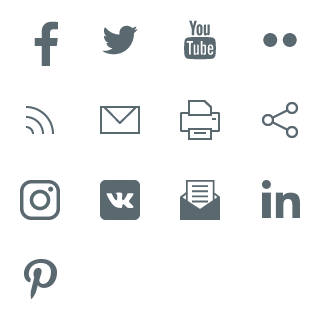 Optimum layout affords better washing results, simple use, and puts the entire washing surface to use. 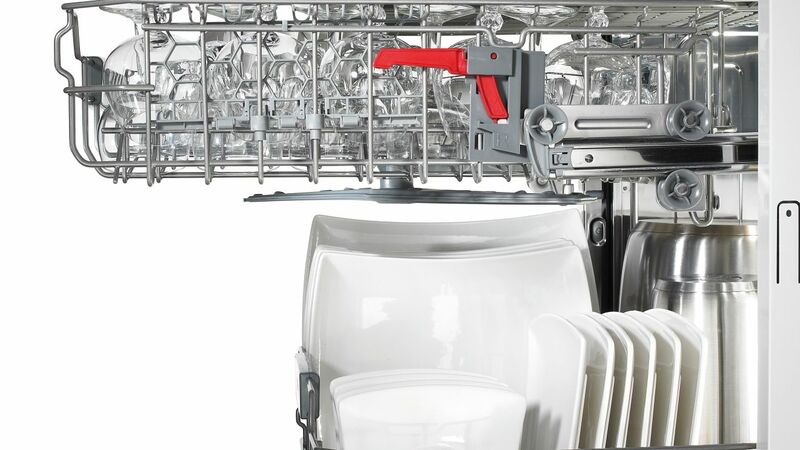 Patented solution in the best dishwasher models makes sure the dishes are thoroughly dry and perfectly shining. 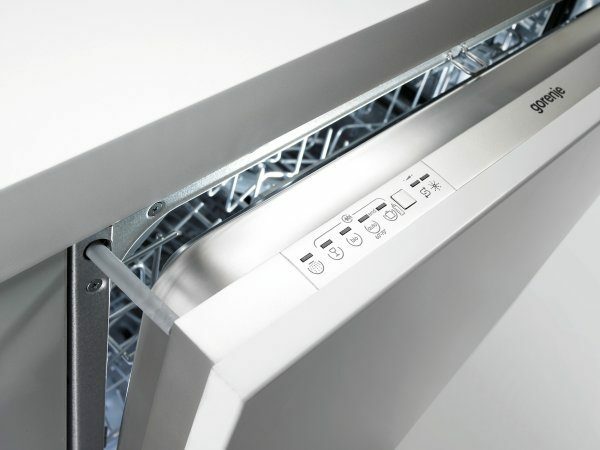 After the wash, the dishwasher door automatically opens just enough to let the excess steam escape. Thus, the dishes will be completely dry and cool, ready to be stored in the cupboards. In case of water spillage, the AquaStop safety system will automatically shut off the water supply to the hose and the machine, and the pump will pump out the remaining water from the dishwasher tub into the drain hose. Thus, the dishwasher may be left to operate at night or while nobody is at home, without any fear from flooding. 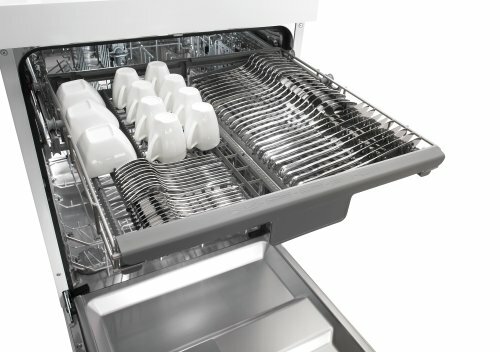 Unique design of the lower basket allows for great adaptability of the dishwasher capacity. Plate supports can be folded to obtain more space for pots and pans of various sizes. Special grooves on cutlery baskets enable moving it to further customize the space in the lower basket. Innovative solution leads to an impressive capacity of up to 13 standard place settings! Fully integrated dishwasher with a height of 86 cm is a perfect match for the kitchens with worktop height adjusted to the users. This dishwasher is 4 cm taller than the conventional models for more flexibility of its interior and therefore more space. 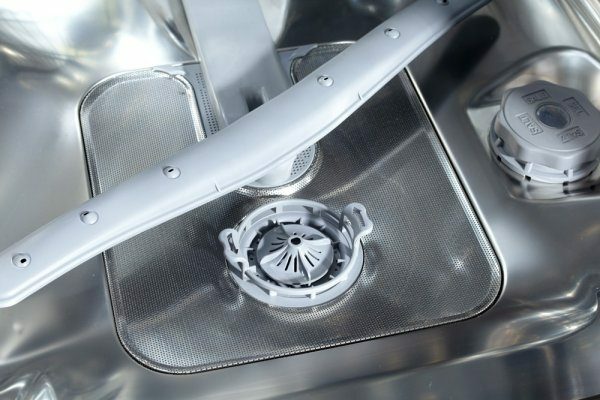 A special spray arm rotates fast and sprays the water through the optimally placed nozzles to distribute the water throughout the entire dishwasher. It is attached to a special support that provides semi-circular motion from left to right. As a result, the dishes are washed more thoroughly and the water and power consumption are lower. 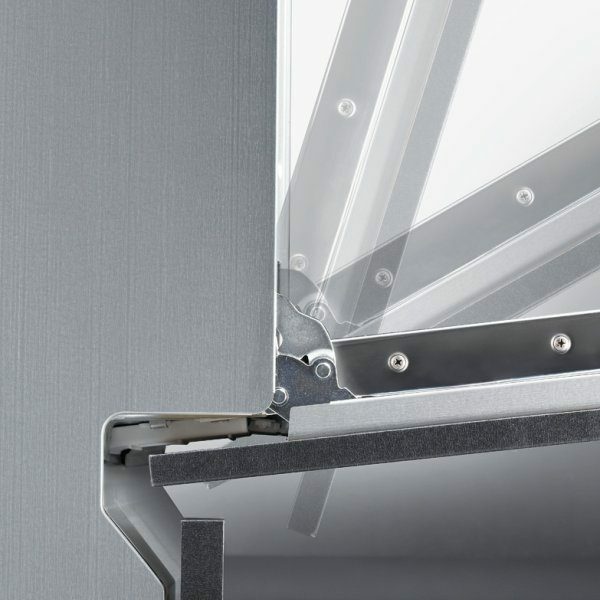 For easier installation and more elegant appearance of the bottom of the appliance, a special hinge first moves the door away from the appliance before opening it completely. This does away with the need for a cutout in the kickplate. This function will automatically adjust the temperature and amount of water to deliver optimum cleaning and drying results in the shortest possible time. This programme, operating at 65 °C, considerably cuts the time required for daily dishwashing. 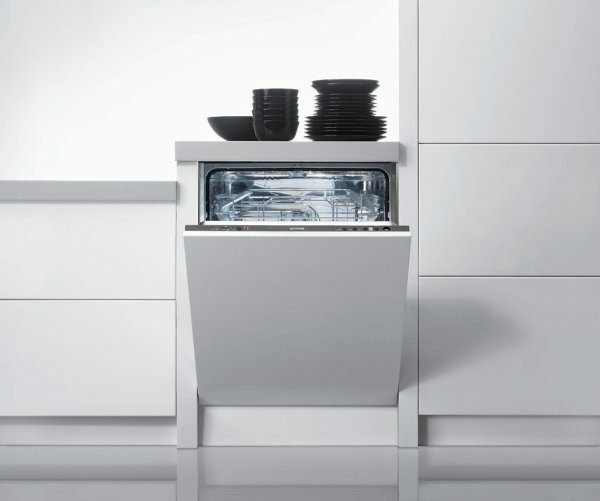 High-end dishwashers are highly power-efficient and therefore economical. Top models are rated in energy class A++, which means they use 40% less power than the A-class models. The automatic filter cleaning system washes out the food residues to prevent the filter from clogging, and thereby also any problems or errors. This programme includes an additional rinse with cool water, followed by an extended wash with hot water at 70 °C to eliminate 99.9 % of all bacteria. The program that mimics the sterilization process is made for families with babies, for cleaning baby utensils and bottles. 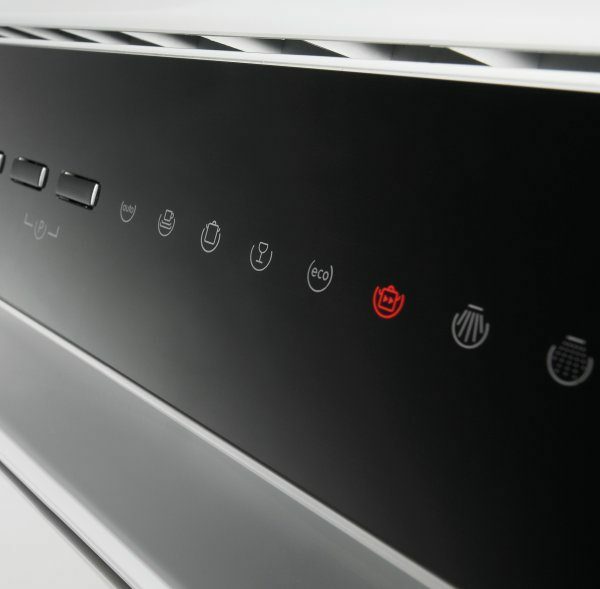 Advanced dishwasher models are no louder than a quiet chat. Their nominal noise level is 45 dB. 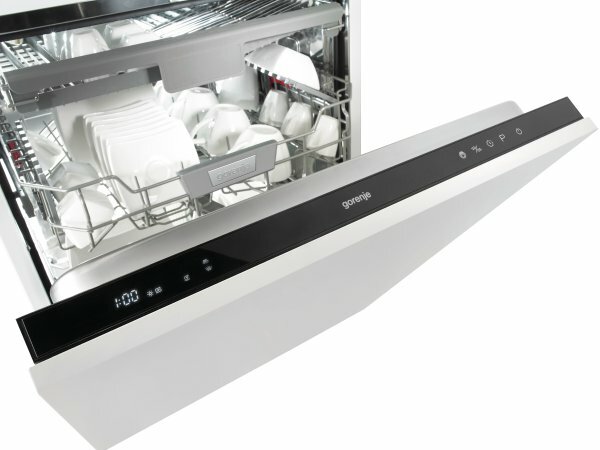 Some dishwasher models allow delaying the start of the wash by up to 24 hours. This allows you to take advantage of the lower electricity rates. 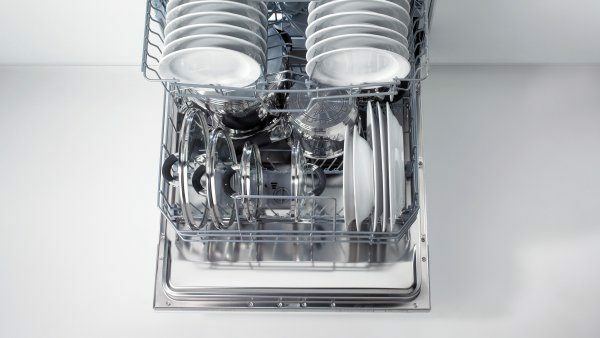 Dishwashers use up to 40% less water than the conventional models. High end models only use 10 litres with the Eco programme. Upper and lower baskets are adjustable to accommodate dishes of all shapes and sizes. 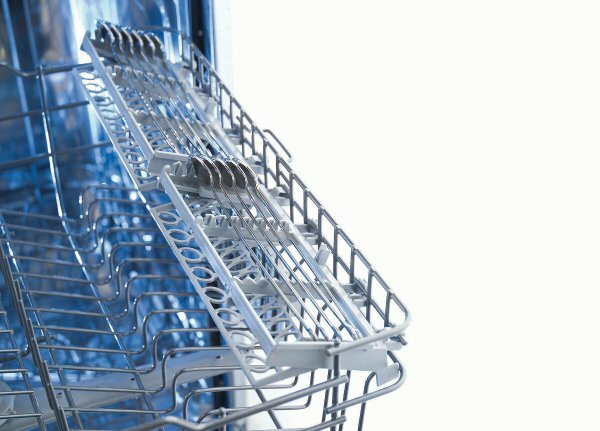 The plate rack in the lower basket can be folded to allow more space for larger items. The lower basket also holds a special cutlery basket. The height of the upper basket is adjustable and it is also suitable for washing of the delicate stemware. Advanced models feature a special support in the upper basket to accommodate long utensils. 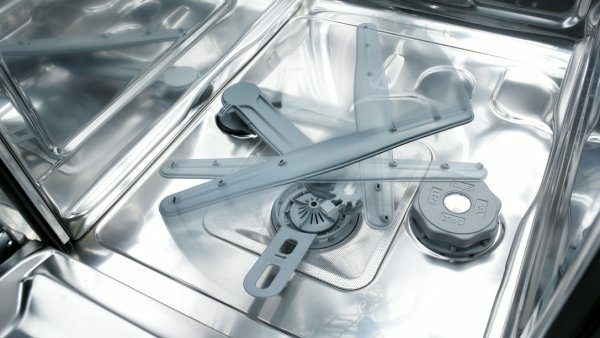 Simply by activating the "3 in 1" function, your dishwasher will automatically adjust the washing cycle to tablet 3in1 and omit using the rinse aid, making this function highly convenient. If you are using powder or gel detergent, the rinse aid is released to allow optimum dishwashing results and perfect shine.